The Konica Minolta c454e delivers high quality prints at 45ppm, respectively, whether in colour or mono. 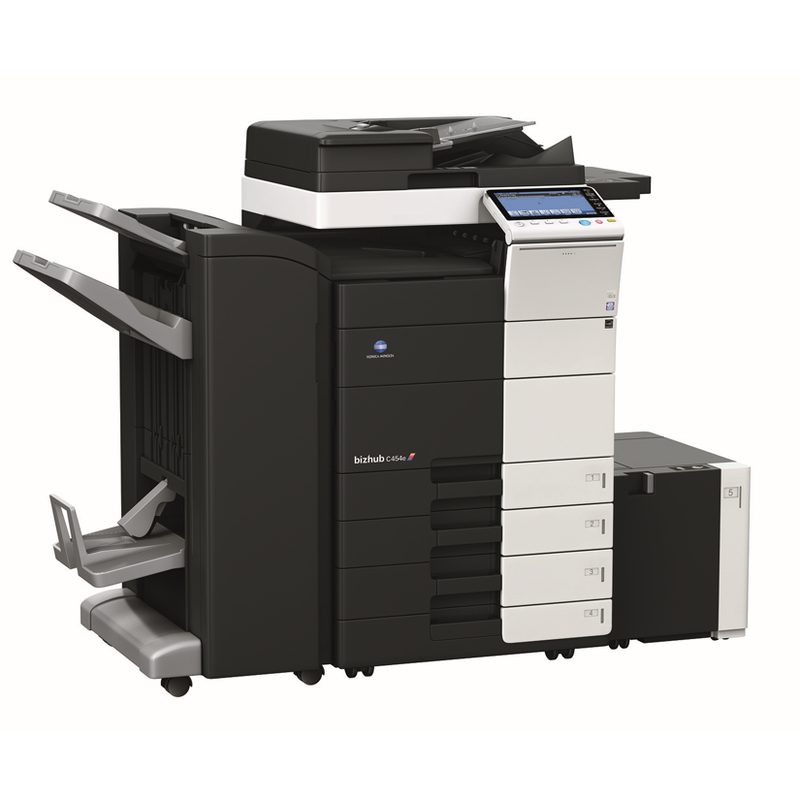 With 600 x 1,800 dpi ConTone quality for printing DTP documents and 1,200 x 1,200 dpi quality for printing fine line detail, maps, drawings and small fonts. Using the advanced functionality of the new range is easy. The innovative 9-inch Capacitive Colour Multi-touch Display adopts “Flick, Drag, Zoom and Rotate” technology, similar to the operation on today’s smartphones and Tablet PCs. The menu screen provides direct access to Scan, Fax (option), Box (archive), Copy and even your corporate Intranet (via the web Licence Option). 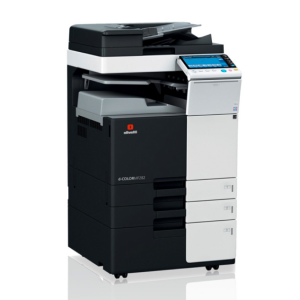 The Konica Minolta c454e delivers high quality prints at 45ppm, respectively, whether in colour or mono. With 600 x 1,800 dpi ConTone quality for printing DTP documents and 1,200 x 1,200 dpi quality for printing fine line detail, maps, drawings and small fonts. Using the advanced functionality of the new range is easy. The innovative 9-inch Capacitive Colour Multi-touch Display adopts “Flick, Drag, Zoom and Rotate” technology, similar to the operation on today’s smartphones and Tablet PCs. The menu screen provides direct access to Scan, Fax (option), Box (archive), Copy and even your corporate Intranet (via the web Licence Option). In effect, this panel becomes the access point for the functions of the machine guiding the user in the generation, sharing and archiving of the company’s document flow. The menu can be customised to make processes more automatic; short cuts to functions can be created using a selected key or actions can be condensed into a single keystroke by saving macros.